So I was tagged by the gorgeous Yolanda . She’s a fellow nigerian/swedish beauty blogger who does DIY’s, makeup looks and natural hair related posts! Blush! I love how blushers add colour and life to my face. I prefer lipstick and lipgloss on top. But if I have to choose one, I’d definitely say lipstick! 3. Chapstick or Lip butter? Chapstick! I always have a million chapsticks in my purse. 4. Matte or Sparkle Eyeshadow? Matte. I love how black liquid liner looks with matte eyeshadows! 5. Gel, Liquid, Cream or Pencil Liner? 7. Liquid or Powder Foundation? Liquid foundation! Powder foundation can look “caky” sometimes, which I don’t like! 8. Neutral or Statement eye? This depends on the occasion. But I tend to go for a neutral eye with a statement lip more often. 9. Pressed or Loose shadows? I’ve been trying to experiment more with loose eyeshadows, but the are so messy! So I’ll stick to my pressed shadows. 10. Waterproof or Non Waterproof? Non waterproof! Waterproof mascara takes forever to remove. 10. Brushes, Sponges or Fingers? Definitely brushes! I love to apply my liquid foundation with a stippling brush, gives such a flawless finish! 11. Powder, Cream or Liquid Highlighters? I’ve only tried powder highlighters. I would love to try NARS illuminators. 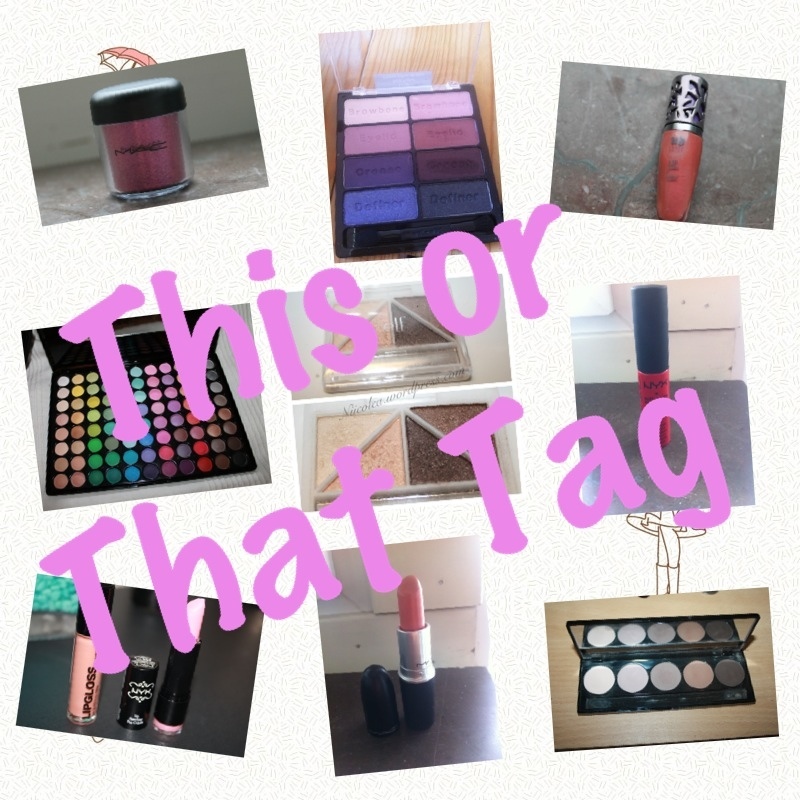 I tag everyone to do this tag plus the bloggers listed down below. Let me know if you do the tag, so I can check it out! I love things like this so thanks for tagging me, a lot of my answers are going to be the same as yours though I think. Just thought Id mention you missed the d out of my name so the link doesnt work. should i? I will def think about it 🙂 Thanks dear. Thank you! I love your blog! 🙂 you always have gorgeous pictures!